Can you believe it’s April already? This year is flying by, and even though it feels like Spring just started we’ll be knee deep in summer temperatures before we know what’s hit us. I am really enjoying spring though, it’s my favorite time of year. 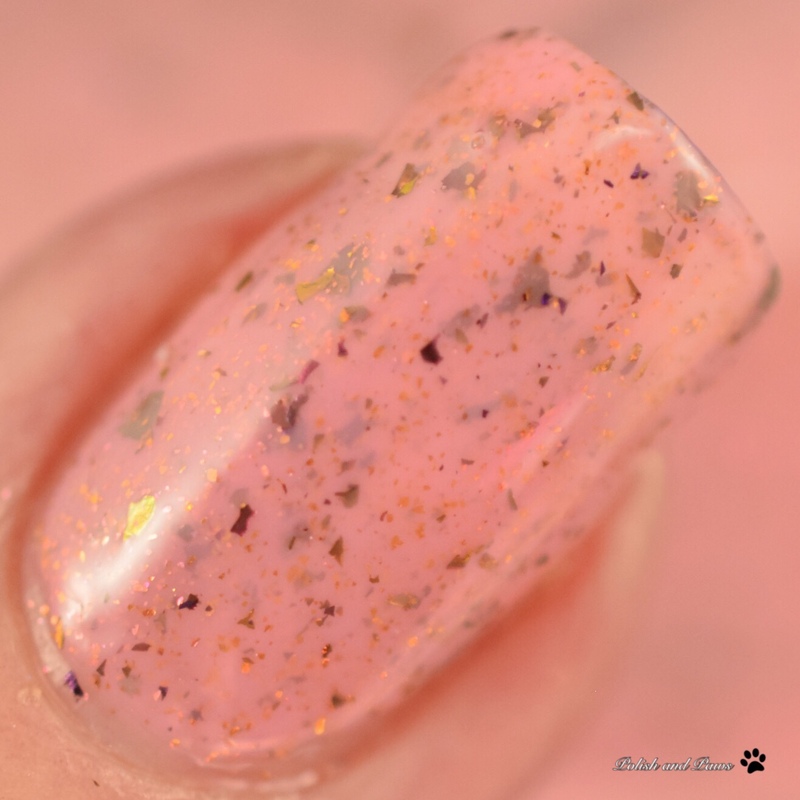 So today I have a special polish to show you April babies, and just another incredible flakie for everyone else. This is Aries, the April POTM from LynB Designs. 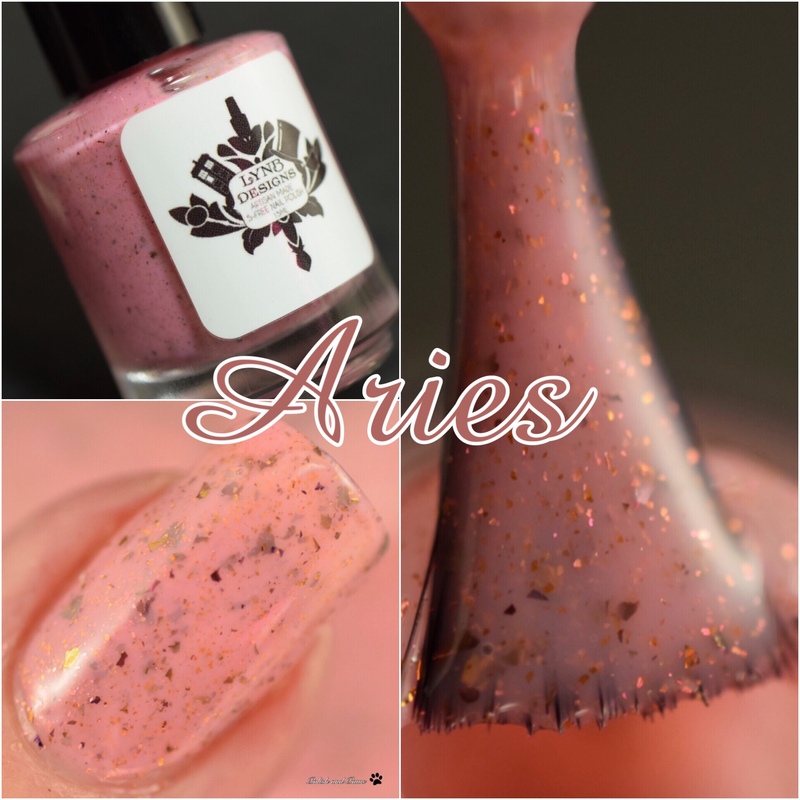 Aries is described as a pinky pastel orange base with red to gold to copper UCC flakies and scattered indigo to purple to red to orange shifting shimmer. I love how these firey flakes pop against the pink base color! 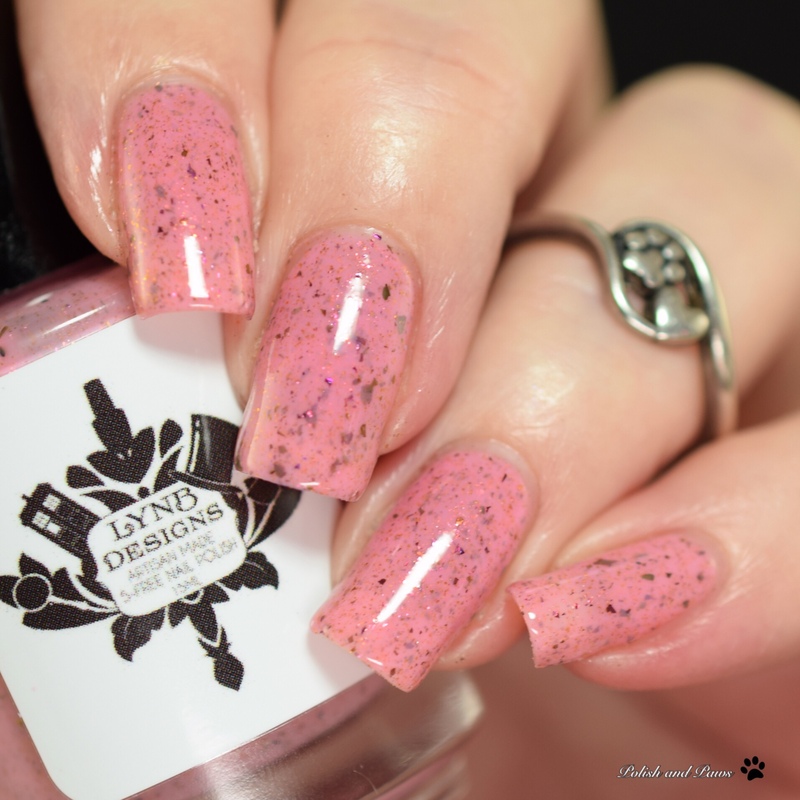 This had a flawless formula, and is shown here in 3 thin coats with glossy top coat. Aries will be available on Friday, April 12th. It will retail for $10. 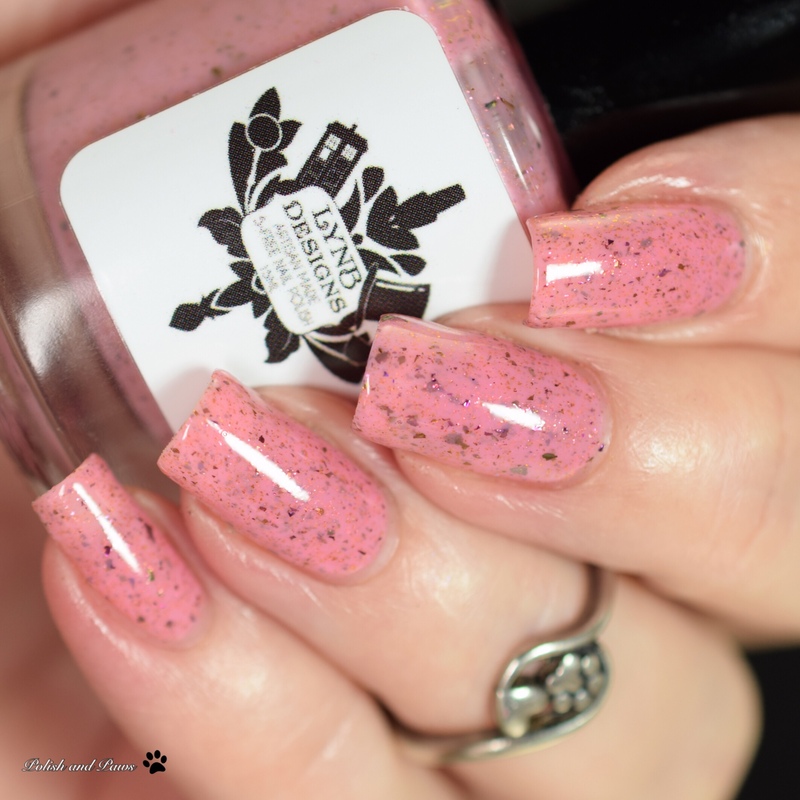 Have I mentioned a hundred times how much I love Jenna’s flakie polishes? They apply smooth as butter and always seem to be the perfect combination of colors and finishes. This looks like such a flattering salmon pink!